In honour of the first game by the Rangers Football Club in SFL3, I thought I would look at some of the interesting statistics from the game. I have listed each team, with the age of the player and international caps. 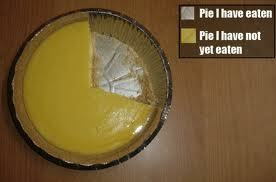 After that I have some pie charts (in honour of mick) showing graphically what I am looking at. And do not worry – I am not seeking to step into the Chick Young style pundit shoes, so you will not see this statistical analysis every week! The graphs are below – they will take a couple of seconds to appear. 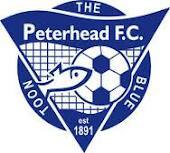 Rangers FC is represented in Blue and Peterhead in red. Here came the pie charts. Sorry! Wrong chart! Correct ones will appear below! Today was undoubtedly a bad day for the Rangers FC, but, as Mr Ahmad, the Director, declared at the RFFF meeting, the company was worth £50 million “on a bad day”. On that basis, the value can only increase so the three billionaires apparently interested in investing should do so now to stop the price of investment going up before they get involved! Was this playing on the Rangers FC team bus on its way back from Peterhead? Ok I’ll bite. Who ate all the pie charts? Every week please Paul……………just watching CFC – bhoys against men and holding their own against top top quality in Real Madrid at 2-0 absolutely no embarrassment, no attack but solid midfield and defense, things are getting better. I see “super Ally”, after today’s scrambled draw against the mighty Peterhead (no offence to the Blue Toon), says that he needs players coming in. Fielding 8 full internationals was clearly inadequate and he must need another half dozen or so. This might enable them to be competitive in Div 3 and presumably compensate for what a crap manager he is. Is it time to concentrate on the Bhoys? Can’t remember when I last read a blog discussing Celtic, we seem obsessed with The Rangers. I for one want to forget them. Expose cheating yes, discuss their every breath no. Anyways I have a cup semi final to plan for unfortunately with a very much depleted squad, down to the bare bones as they say and up against the big boys…Bring it on!! Well it looks like the pies are back on the menu at Ibrox. 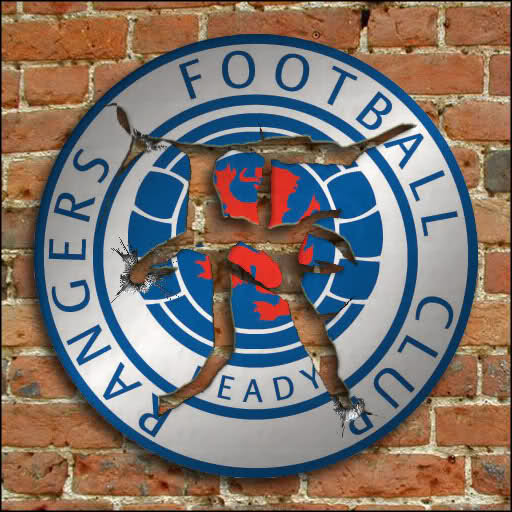 Mr McCoist pointed out that this was not going to be a Cake Walk ……. the cake must be all finished. That aside I thought his comments on his team’s display was fair.Your article mentions the amount of caps but how many Gers can fix a burst pipe or fillet a fish ? Gers could use a good plumber to plug the holes in that defence.and maybe an electrician to get wired into the opposition ! When we thought that the original transfer embargo would leave Rangers relying almost entirely on the young players already on their books, some of us suggested that division 3’s seasoned professionals might prove to be tougher opposition than was generally being assumed. I admit that I had not supposed that a Rangers team composed mainly of experienced internationals might seriously struggle in any games at that level. However all is not yet lost. There are 105 points still to play for, and over two weeks in which the squad can be further strengthened by signing half a dozen or more additional international quality players as well as 9 loanees from Newcastle United. All should be well come the end of the season. They should definitely have the strongest squad in the division come the play-offs! Brain Duncan is right, forget T’Rangers. 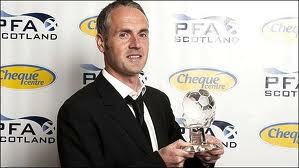 Why aren’t we asking why Craig Levein hasnae picked any Peterhead players in his scotland squads? They were no where to be seen against Brechin. Either they have not got the strip back from the wee washer woman they haven’t paid in weeks, or it’s another bout of foot-stamping defiance from FC Sevcovia. Talk about heads in the sand.